Georgia Odyssey and all of our teams are in Ames, Iowa for an exciting time at World Finals. We’d like to say good luck and congratulations to all of our teams that are participating in World Finals! It’s going to be an exciting and intense couple of days. We have no doubt that our Georgia Dragons will come victorious! We are updating our World Finals galleries daily for everyone here in Ames with us and back at home in Georgia to see what all of our teams are getting into and how amazing of a time it is. There will be pin trading galore, crazy fun all over campus, and even a few of our best teams competing with the best the world has to offer. 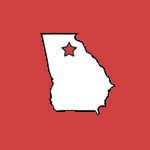 The Metro Atlanta Regional Tournament Results are available in the Tournaments Section. The tournament was amazing with lots of amazingly creative solutions all day. The judges raved over how awesome the teams were overall! Last, we would like to thank our hosts at Parkview High School that gave us such great support and a beautiful space to use. North Georgia Tournament Results, photos, and more! 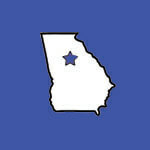 The North Georgia Regional Tournament Results are available in the Tournaments Section. The tournament was amazing with lots of amazingly creative solutions all day. The judges raved over how awesome the teams were overall! Last, we would like to thank our hosts at C.W. Davis Middle School that gave us such great support and a beautiful space to use. Our Last Judges training session this year is this Saturday February 3rd, just in case you forgot. A map to Byron Middle School is available in our maps collection found in the quick links on the front page. Georgia Odyssey will have a booth at Maker Faire Atlanta on October 22nd. Maker Faire is a gathering of fascinating, curious people who enjoy learning and love sharing what they do. From engineers and artists to scientists and crafters, Maker Faire is a venue for these “makers” to showcase their hobbies, experiments, and projects. If you are a high school student who would be interested in volunteering at our booth we’d love to have your help. Volunteers will be talking about their Odyssey experiences to attendees of the Maker Faire. Shifts will be 2 hours long. If Interested, please contact Jose Martinez at Jose@georgiaodyssey.org today!